Kaduna – Dr Suleyman Ndanusa, a former Director General and Chairman, Securities and Exchange Commission, on Tuesday attributed the high level of underdevelopment of the Northern region to poor leadership. Ndanusa made the observation in a keynote address at a two-day summit on Security and Development of Nothern Nigeria holding in Kaduna. According to him, although the region has produced more leaders at the national level, there is very little to show in terms of development and improvement in the social and economic development of the people. He also identified ” inadequate human capital development, lack of enterprising spirit, insecurity, over reliance on central government, dilapidated infrastructure, unemployment and poverty among others,” as factors hindering development in the North. Ndanusa advised Northern leaders to quickly establish a regional development and planning coordinating agency for the recovery and progress of the region. ” The region needs to revamp and refocus, ” he said, adding that companies such as the New Nigeria Development Company, must be allowed to truly work for the region. In his address, the Danmasanin Kano, Alhaji Maitama Sule noted that apart from bad leadership, breakdown of family values, disrespect for elders and constituted authority as well as insecurity, immorality and corruption has stunted growth in the region. He noted that leaders that followed the first generation leaders of the region, completely deviated from establishing a cohesive, economically vibrant region in pursuit of self aggrandizement. Sule, however, said that the region must not loose hope, adding that the problems would be overcome especially if leaders learn from history and plan ahead. 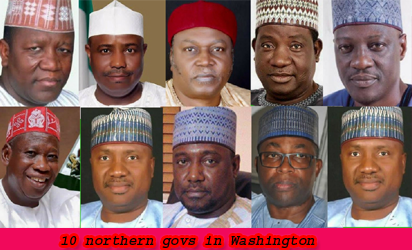 The post Good leadership, key to Northern region development revival, says Ndanusa appeared first on Vanguard News.